Dr. Aaron Bivens is originally from Riverside California. At six years old he decided to become a Veterinarian after losing his first childhood feline companion. It was then he knew he wanted to intervene when any pet is in need, and help bring them back to health. 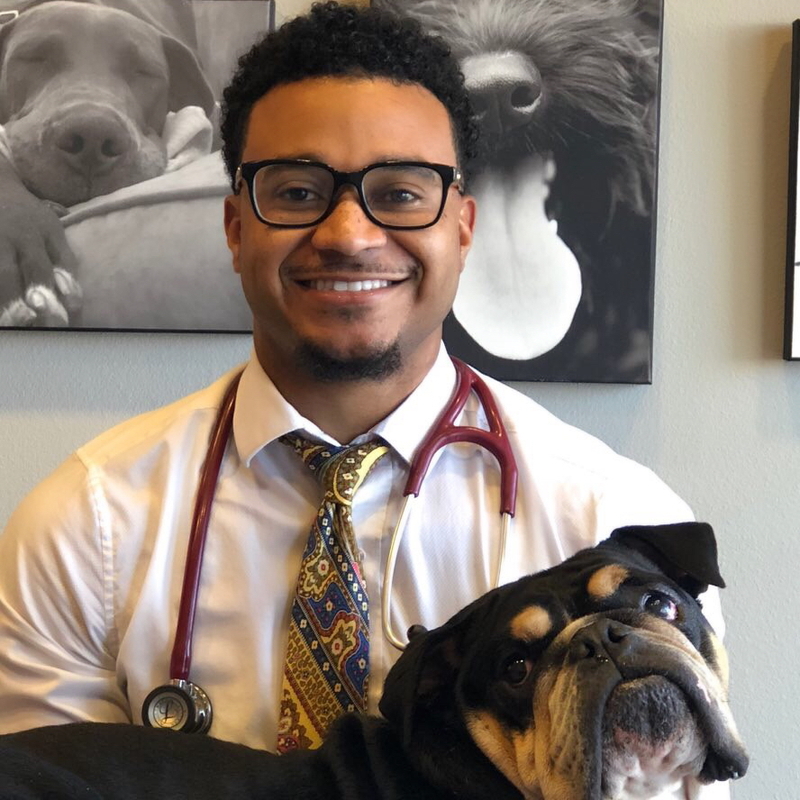 Dr. Bivens played Baseball and finished his undergraduate studies at Tuskegee University, and continued to graduate from Tuskegee School of Veterinarian Medicine in 2011 with ACVIM Clinical Excellence award and AAHA Small Animal Medicine Achievement award. Dr. Bivens took a special interest in Ophthalmology and soft tissue surgery while in Vet school and continues to practice these skills in his professional career. Dr. Bivens spends his days off with his two English Bulldogs Chubbs and Slim, and loves to BBQ, kayak, hike, and escape to beach any chance he gets. Dr. Brittany Anderson grew up in Saint Mary’s, Georgia. Veterinary medicine has been a lifelong passion for her and she has over 12 years of experience in the profession. 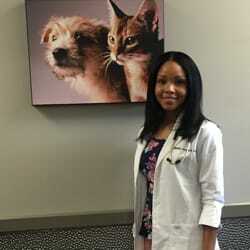 Dr. Anderson obtained a bachelors of science degree in veterinary technology from Fort Valley State University in Fort Valley, Georgia. 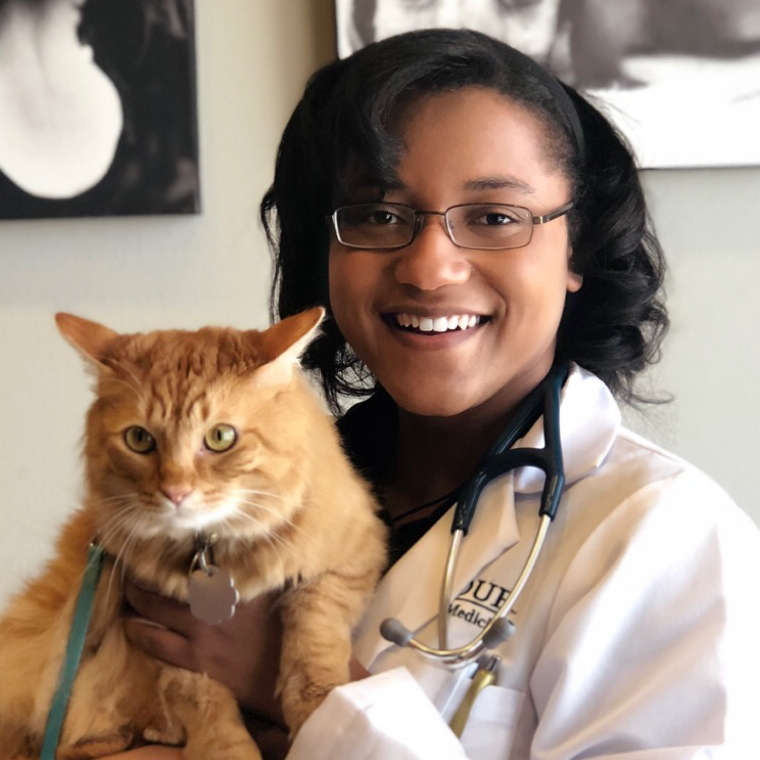 She then completed internships as a veterinary technician at the University of Georgia and Michigan State University before completing her Doctor of Veterinary Medicine degree at Tuskegee University. After graduating vet school Dr. Anderson completed an internship in veterinary clinical pathology, as she takes great interest in clinical diagnostics. Dr. Anderson is the wife of another veterinarian, Andrew Anderson. She is also the mother of a daughter named London, as well as four dogs and one cat whose names are Optimus, Remy, Cheyanne, Mojave and Garland. In her spare time, Dr. Anderson enjoys the cinema, cooking and traveling. Dr. Kiara was born and raised in Plano, Texas. Her family has a strong background in human medicine, but Dr. Harden could not ignore her passion to work with animals. She completed her undergraduate degree from DePaul University and received her Doctorate from Purdue’s University School of Veterinary Medicine. Her interests include preventative medicine and therapeutic behavioral medicine. When Dr. Harden is not at work, she enjoys exploring new sushi restaurants, movies and spending time with her cat. Dr. Mendscole was born and raised in Los Angeles, California by his loving mother. She nurtured him to become the compassionate veterinarian he is today. His name means “Healer” in Persian dialect and “Peaceful Warrior” in Swahili (West African). Dr. Mendscole completed his undergrad at Tuskegee University. He received his Doctorate from Tuskegee’s School of Veterinary Medicine. When Dr. Mendscole is not at work, he enjoys going to the beach, skateboarding, spending time with family, and pampering is bully named Kingston! Dr. Davis hails from Nashville, Tennessee. Her passion for working with animals started at a young age and particularly was interested in learning how to create a less stressful environment for them. 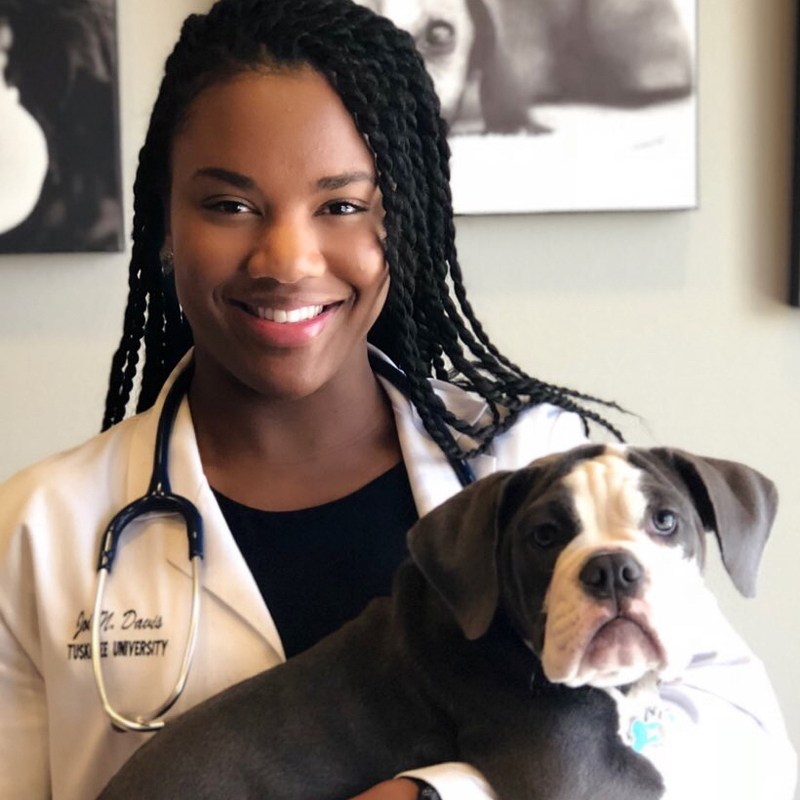 Dr. Davis completed her undergrad at Tuskegee University and received her Doctorate from their Veterinary School of Medicine. 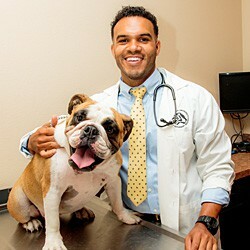 Dr. Davis is a Fear Free Certified professional whose goal is to prevent and alleviate fear, anxiety and stress in pets. She strives to create a healthier veterinary experience. Her interests include soft tissue surgery, dermatology, and alternative medicine. She is the proud pet mom of two rescued domestic short hair cats (Penny Marie and Ghengis).